A pretty good movie about a home for troubled teenagers and the people who work there, this one gets better as it goes on and starts getting into the real issues. Here’s a pretty good movie about a group home for troubled teens where the people who run the place have nearly as many problems as the teenagers themselves. Grace (Brie Larson,) is in charge at the facility, and we follow her through the stories of a number of kids who come through there, but what’s really interesting is the way the movie slowly pulls back layers of Grace herself. Not everything works about this movie. The story of Grace’s relationship with her boyfriend, Mason, for example, isn’t quite there. But the stories of her working with the troubled teens are where this movie really excels, as the film builds up to some excellent climactic scenes. 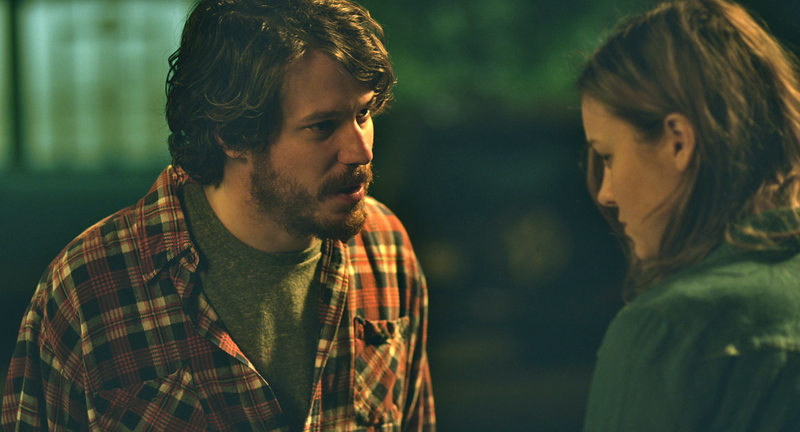 Short Term 12 is a pretty good movie. They say it’s the movie that got Brie Larson her role in Room, a movie that was insanely powerful and where Larson knocked it out of the park, (and won an Oscar for it.) The connection is that both movies are pretty serious and dramatic, unlike the things Larson was doing previously (like the 21 Jump Street movie.) 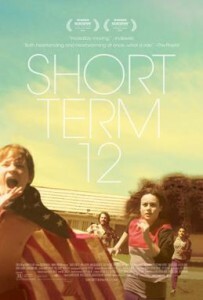 Short Term 12 may not he on the same level as Room, but it definitely shows that Larson has got some major acting skills. Thr movie is about a group home for troubled teens and the people who work there. These teens are usually the victims of some kind of abuse, be it substance or physical or both, and are allowed to stay in the home until they turn 18. After that, they’re sent on their way. This isn’t always easy to deal with for the kids living there, who have finally found a place of acceptance for the first time in their lives, and then are suddenly kicked out. It becomes a problem for one kid in particular, an African American boy named Marcus, who has just turned 18. The movie is as much focused on the people who work at the facility as it is on the kids who live there. Early on we meet Grace, (Larson,) and her boyfriend,Mason, both long time employees at the home. We also meet Nate (Rami Malik of the show Mr. Robot,) a new employee who is there for his very first day. Nate represents the fish out of water character who gets introduced to everyone and everything about the place. And of course, we the viewers, are introduced to it all right alongside him. We hear a funny funny story, while Nate is standing outside first meeting people, about a time when Mason followed a boy who ran away from the facility, onto a bus, where he found himself in a serious need of a bathroom. The jokes come outside of the place. Inside is where the problems are. Grace is pregnant. She plans to have an abortion. And she’s not telling Mason anything about this. Turns out she’s got a lot of back story and build up tension that we’ll find out more about as the film goes on. If the first portion of thr movie is about Grace’s pregnancy and Marcus on his way out of the home, then the gears quickly shift in act 2 to being about a girl named Jayden. She’s a new resident of the home, staying there until her father picks her up, and she’s miserable. Jayden says she doesn’t want to bond with anyone because she won’t be there very long, but there’s clearly something else going on, and Grace knows it. First there’s the violent outburst Jayden has (smashing cake in Grace’s face,) when her father doesn’t show up. Then there’s Jayden running away and Grace following her to the home of her father. Back at the facility, Jayden shares a really dark story she wrote with Grace about an octopus giving up his legs. This tops Grace off to the abyss from Jayden’s father. And then one night Jayden leaves. Not as a runaway, like the last time, but this time it’s legit. Her father comes and checks her out of the place. Grace can’t believe the home let her leave with this man, when she made it clear to them that she thought Jayden was being abused. Here they had the chance to help this girl and they just let get go right back into the arms of her abuser. This causes Grace to lose it. What she does next is a little too crazy to believe, except when we learn about Grace, herself, and what she’s been through. That combined with what Grace is dealing with now, (finding out her abusive father is being released,) makes her actions a little more believable. What she does, and the mission sh goes on, become the climax of the film. But theres more going on here besides just Jayden. There’s also Marcus, still in the picture and almost ready to leave the home. When his fish dies, and Marcus becomes convinced that another kid at the home killed him, Marcus loses it. He takes violent action that sets the whole facility into a panic. Between Grace and Marcus both losing it in the final act, and Jayden dealing with her father, this is definitely a movie that built to a climax. The film is fantastic in the way that it deals with the kids and tells their story, (there’s a brief story about a third kid those doctor takes his toys away, sending him into instant misery. This is the kid who keeps running away, sprinting out the front door. But for all the great material about the kids, there’s not enough about the adults. Grace’s own back story with her father isn’t explored enough, and her relationship with Nason is kind of boring. Luckily the movie is more focused on the kids, making that a priority, and in that area, this film really soars.